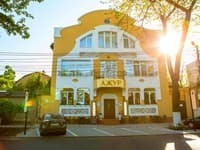 Hotel "Duke" is located in the heart of the city, in a cozy and quiet Сhaikovsky lane, 5 minutes walk from the Potemkin Stairs and Deribasovskaya street. It offers comfortable rooms from "standard" to the "presidential". 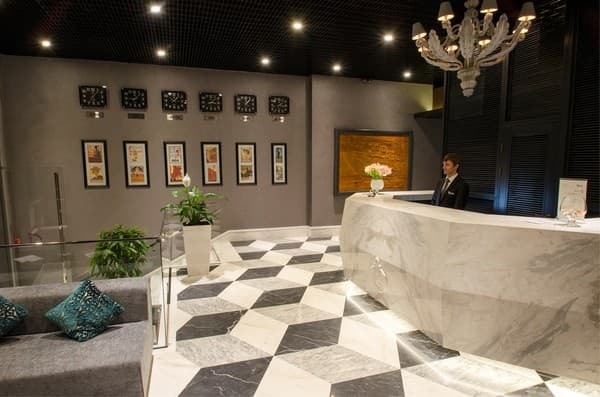 The luxury rooms are equipped with refined Italian furniture, interactive TV, climate control, free Wi-Fi, a mini-bar, a safety deposit box. 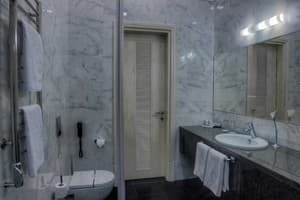 Bathrooms are equipped with hairdryer, cosmetic mirror, set of exclusive mini cosmetics, bathrobe and slippers. 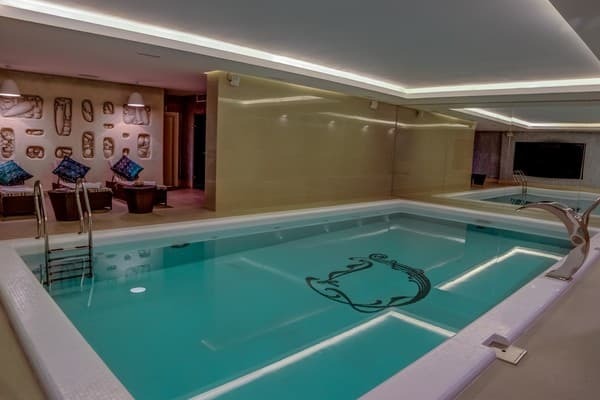 The rate includes: breakfast “Swedish line", using indoor swimming pool, modern gym and Wi-Fi access. 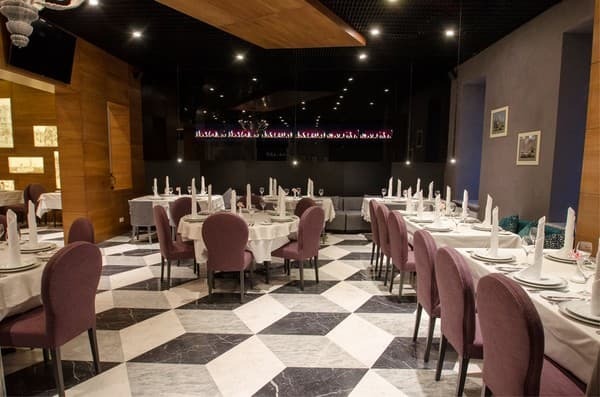 The hotel's restaurant "Len Mar" menu combines Mediterranean, Ukrainian and Odessa cuisine. Hotel "Duke" is located near the Opera House, 2.2 km from the train station. The distance from the International Airport is 8.3 km. Transfer service is available by prior arrangement. 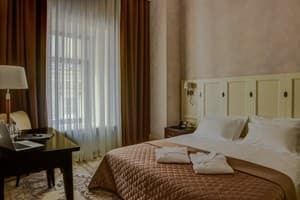 Description of the room: Conveniently furnished room with an area of ​​24 square meters. 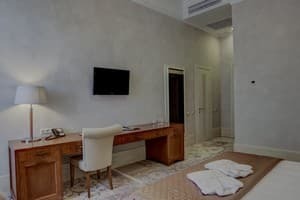 Free Wi-Fi, interactive TV, minibar, individual safe, climate control, international telephone connection. The bathroom is equipped with a shower, hairdryer, cosmetic mirror, a set of exclusive mini perfumes. THE PRICE OF THE ROOM WITH SINGLE PLACEMENT IS 1800 GUN. Description of the room: Spacious, comfortably furnished room measuring 25-28 square meters. 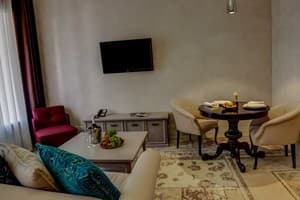 Free Wi-Fi, interactive TV, minibar, individual safe, climate control, international telephone connection. The bathroom is equipped with a shower, hairdryer, cosmetic mirror, a set of exclusive mini perfumes. The cost of a room with a single room is 2300 UAH. Description of the room: Spacious, comfortably furnished room of 32 sq.m. with a seating area and a desk. 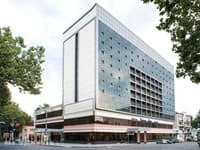 Free Wi-Fi, interactive TV, minibar, individual safe, climate control, international telephone connection are available. The bathroom is equipped with a shower, hairdryer, cosmetic mirror, a set of exclusive mini perfumes. 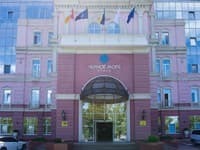 The cost of a room with a single room is 3000 UAH. Description of the room: Spacious, comfortably furnished room of 35 sq.m. The room has a view on the Tchaikovsky and Teatralnaya Ploshchad. 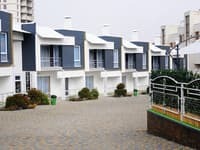 You can use free Wi-Fi, interactive TV, mini-bar, individual safe, climate control, international telephone connection. The bathroom is equipped with a shower, hairdryer, cosmetic mirror, a set of exclusive mini perfumes. The cost of a room with a single room is 3800 UAH. Description of the room: Spacious 2-bedroom, comfortably furnished room of 50 sq.m. In the living room there is a sitting area with a soft sofa, table and chairs. 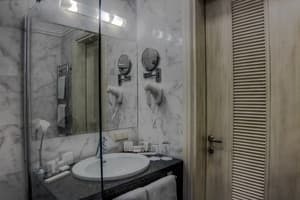 Free Wi-Fi, interactive TV, minibar, individual safe, climate control, international telephone connection are available. The bathroom is equipped with a shower, hairdryer, cosmetic mirror, a set of exclusive mini perfumes. 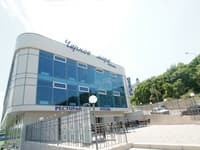 The price of the room includes: breakfast buffet, Wi-Fi, luggage, fitness room, indoor pool with sea water, bottled water, daily room cleaning, individual safe, city telephone, interactive TV, parking in the hotel on a preliminary request. 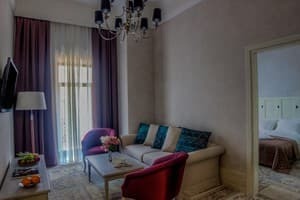 Description of the room: Spacious 2-bedroom, comfortably furnished room with an area of ​​62 sq.m. In the living room there is a sitting area with a soft sofa, table and chairs. From the living room there is an exit to the balcony with a beautiful view of the Theater Square. Новый отель, комфортный, очень удобное расположение в самом центре Одессы, хорошее обслуживание, квалифицированный персонал, уютный номер. Children up to 7 years stay free of charge. 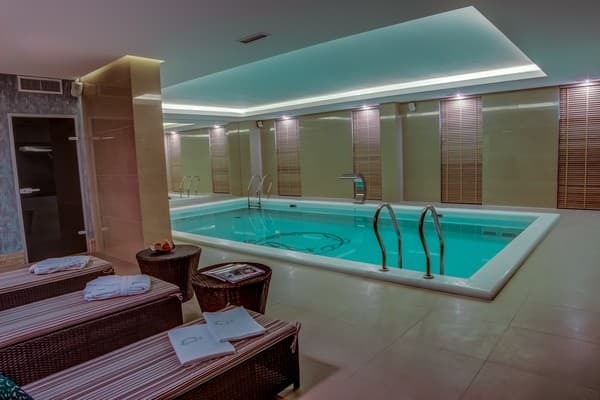 Extra bed for children aged 7 and older, as well as for adults - 500 UAH / day. The restaurant of the hotel "Len Mar" harmoniously combines the menu of dishes of Mediterranean, Ukrainian and Odessa cuisine. 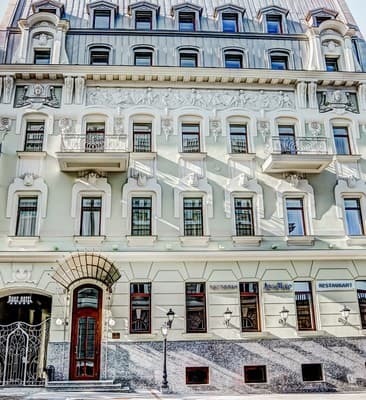 Hotel "Duke" is located in the heart of the city, in a cozy and quiet Сhaikovsky lane, 5 minutes walk from the Potemkin Stairs and Deribasovskaya street. Hotel "Duke" is located near the Opera House, 2.2 km from the train station. The distance from the International Airport is 8.3 km. Transfer service is available by prior arrangement.